Last night, Luka and the Dallas Mavericks had their annual visit in Cleveland to play the Cavaliers. Cleveland apparently is a city with a large number of Slovenian nationals. So Doncic received a lot of cheers from his countrymen, who came to the arena super early to get a chance to talk to their country’s best basketball player. Doncic took the time to interact with some of them. 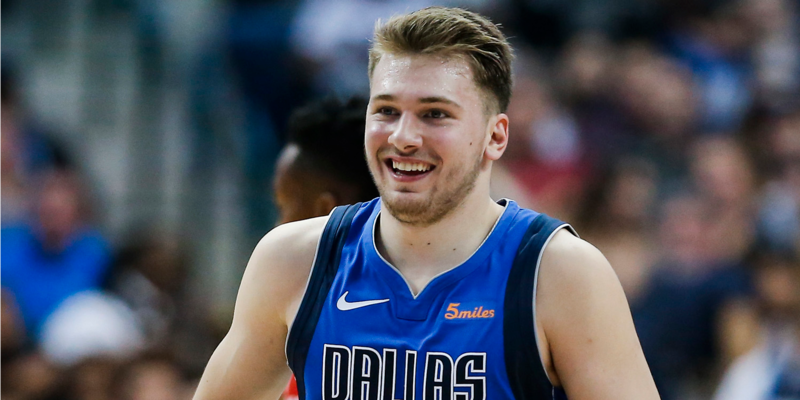 Then, during the game, Doncic impressed his Cleveland fans with another incredible performance. He finished with 35 points, 11 rebounds, 6 assists and some ridiculous step-back three pointers.